Add a personal touch to any occasion. Adorn your surroundings with this pack of retro style photo bunting. 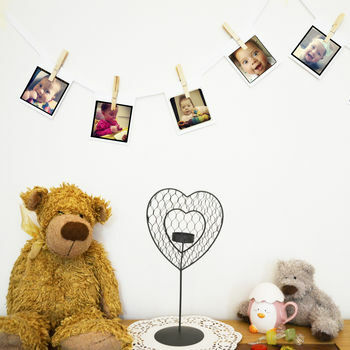 Let eyes wander around the room and soak up the display of memories with this fabulous and captivating photo bunting. 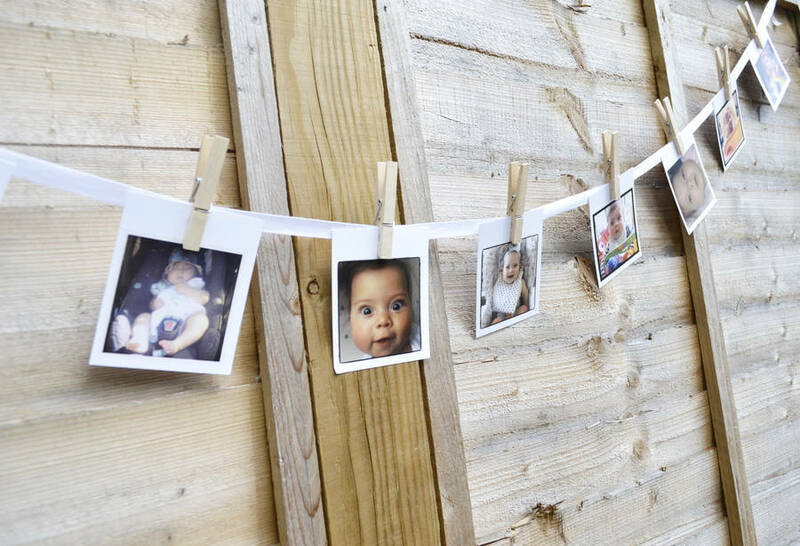 Designed to be elegant, hang the photo cards by the rustic cotton ribbon using the wooden pegs to fix in place. All materials are provided in a sufficient number. Weddings, birthdays, engagement parties, hen do's, christenings, wall decorations, the possibilities are endless. Available in sets of 10, 25, 50 and 100 photo cards. The packs come with enough cotton ribbon for a picture every 20cm, plus 1m of length each end to allow for stringing up. This equates to 3.8m of ribbon for 10 cards, 6.8m for 25 cards, 11.8m for 50 cards and 21.8m for 100 cards. 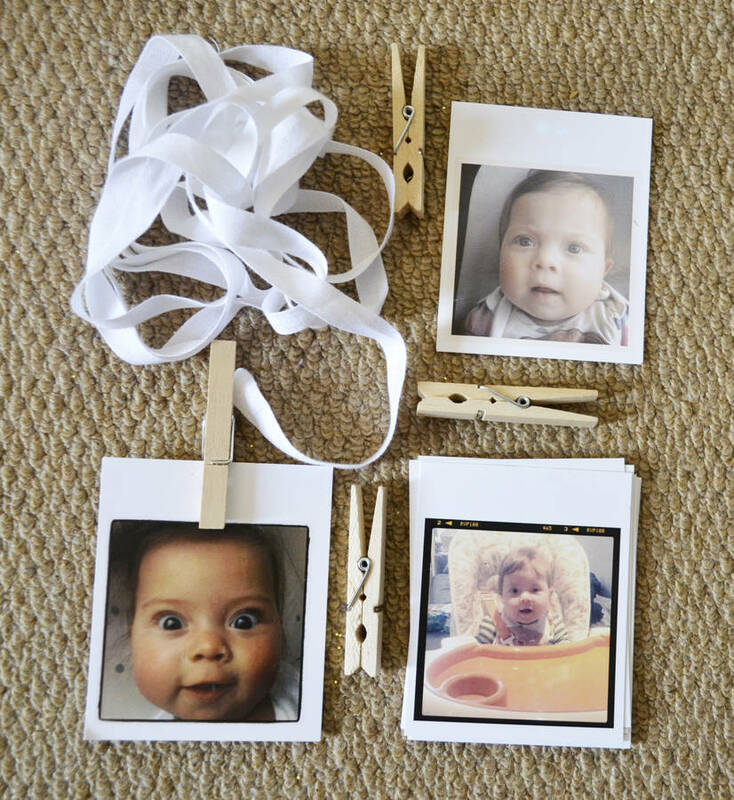 The cards can then be attached using the wooden pegs supplied with the pack. Please note that the bunting comes as a kit and is not fully assembled so you can hang the images as you see fit once received. 350gsm gloss heavyweight card, cotton ribbon and wooden, hinged pegs.